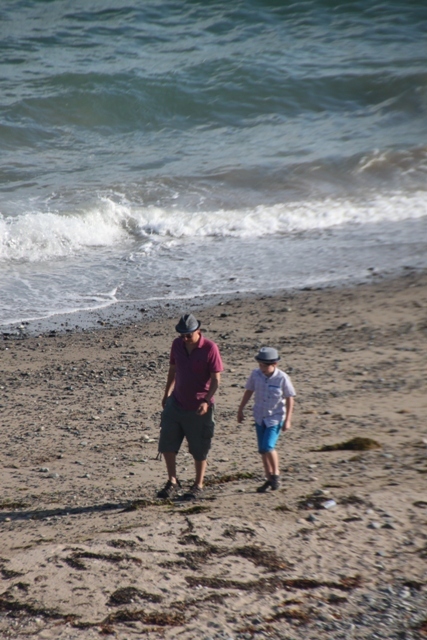 As Ireland continued to bask in a heatwave during our visit, an afternoon by the sea became a priority. 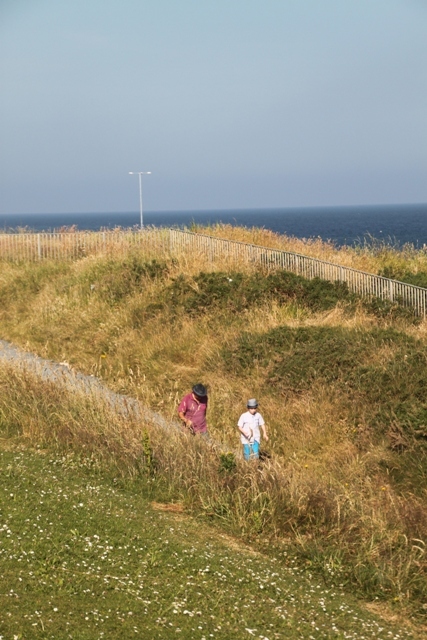 My childhood memories of summer in Ireland involve many sun baked days at the seaside – it never, ever rained and the sun was always shining. Reality strikes – with the Irish climate this is highly unlikely, but memories are memories and I’m sticking to them. Son expressed unbridled delight at the idea of sun, sea and sand – no sight seeing and nothing even vaguely cultural got the big thumbs up from him. We found a beach on the Down coast, where much digging, splashing and sandcastle building took place. Set on the entrance to Carlingford Lough, with the mountains of Mourne as the backdrop meant it was scenic enough to keep everyone happy. Hours later and all beached out, we drove through the Mourne Mountains and CS Lewis’s inspiration for Narnia to the little fishing port of Kilkeel. This also happens to be home to the UK Best Fish and Chip Shop winner for the last 3 years – always a good sign. 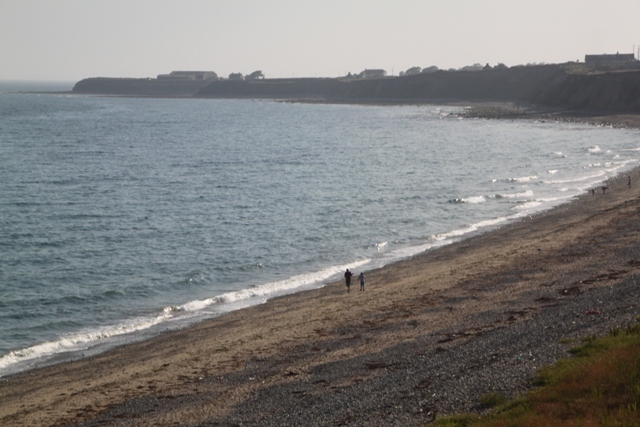 Not much was going on here, but we found another beach – completely deserted this time, with views out to the Irish Sea. 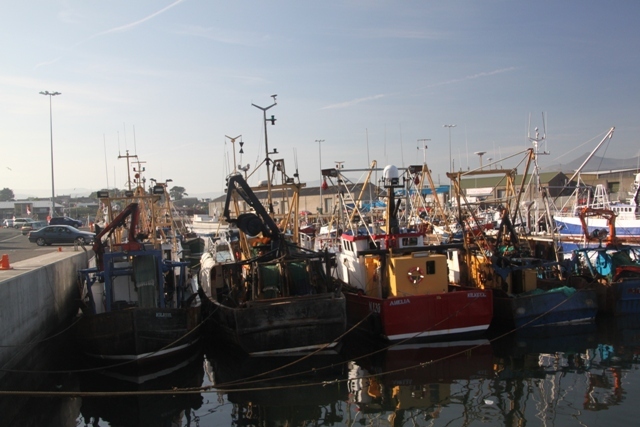 Kilkeel is home to Northern Ireland’s largest fishing fleet, so the busy and picturesque harbour was our next stop. We strolled around, looking at the fishing boats, watching fishermen mending their nets and landing their catch. 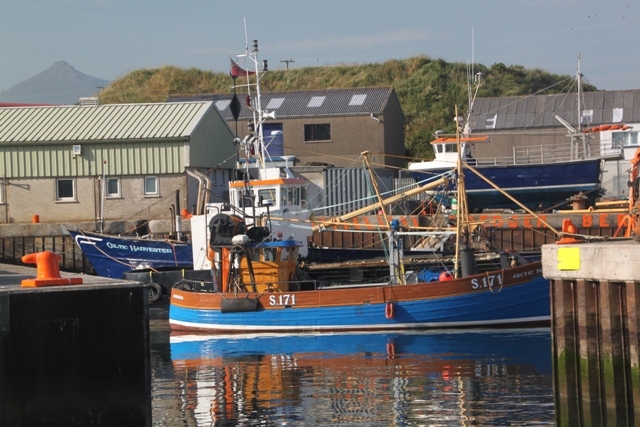 At one time there were 115 fishing boats here, but due to EU quotas and restrictions, this number has dramatically declined. They used to catch herring, cod and haddock but now prawns, lobster and crab are the main catch. We found the memorial to fishermen lost at sea by the Nautilus Centre in the harbour. Fishing apparently, is the most dangerous peacetime job – the memorial makes that clear. Driving away, we stopped to watch a couple of little fishing boats head out to sea for the night – a sobering sight after what we had just learned. Nice pictures. Thanks for letting us take a look! Culture is still an alien concept for our son…. but we’ll keep trying! Haven’t been to Nova Scotia (yet) – would love to some day though!